The Dessert Fork-About the Owner - The Dessert Fork, L.L.C. Pauline McFarlin 's journey to becoming a Cake Artist began when she moved to Huntsville Alabama in 2008. While engaging in an active real estate career, Pauline decided to pursue baking as a hobby. 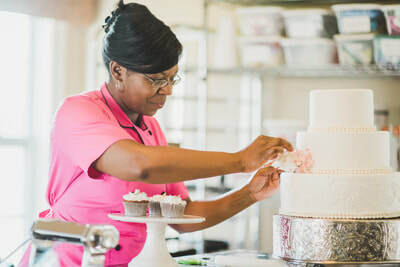 As she gradually developed her skills by taking classes and making cakes for loved ones, she decided she wanted to make edible and beautiful works of art as a career. 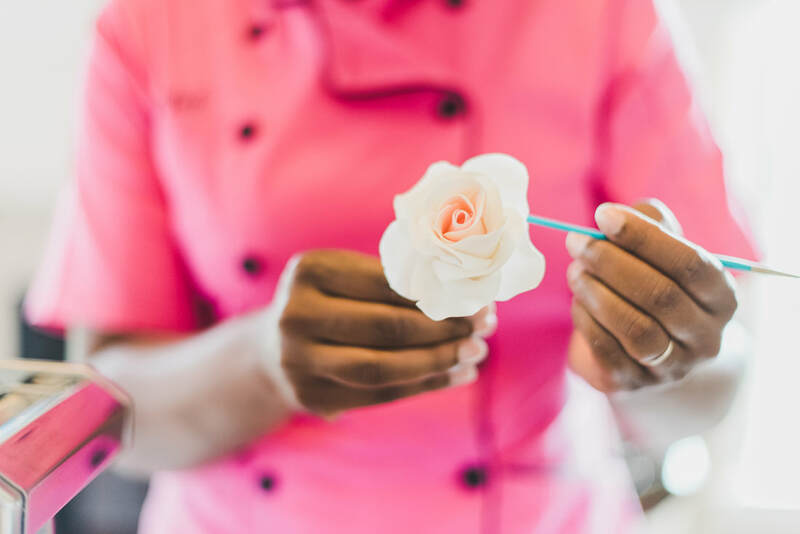 In 2014, Pauline decided to take the leap, and equipped with her high school formal art training and passion for baking, she turned her hobby into her very own business, The Dessert Fork. Pauline has continued her education, receiving training and instruction from several world-renowned cake artists to include: Ron Ben-Israel (Ron Ben-Israel Cakes, Food Network), Mich Turner (Little Venice Cake Company), Barb Evans (Certified Master Sugar Artist), Joseph Cumm (Instructor of Pastry Arts at the Pennsylvania School of Culinary Arts), Dalila Cabrita (International Cake Designer and Instructor), Lisa Mansour (Award-winning expert in cake decoration), Peggy Tucker (Certified Master Sugar Artist), and Jorg Amsler (Food Network Challenge). She has also completed cake decorating courses at the Wilton School and at the The Americas Cake & Sugarcraft Fair.